Centre for Excellence in Project Management Pvt. Ltd. (CEPM) is a leading project management Training and Consulting company. Our core competence is project management and we provide widely used, top-rated project management training covering general project management concepts and project management certifications. We conduct both traditional face-to-face instructor led class room training as well as web based training through our wholly owned training website www.pmguruonline.com. Knowledge has become the single most important ingredient to propel the wheel of progress in the 21st century. Project Management (PM) is the art and science of converting Vision into Reality and Abstract into Concrete. PM addresses the issues of change and transition through out the project life cycle starting from need awareness, initiation, planning, implementation, control and close out in a most effective manner. Project management discipline has experienced an extraordinary growth in the last decade. Present day indicators show that this trend will continue for some time to come. Project management is carving out its appropriate place as a distinct discipline in its own right. For a discipline to be sustainable, it has to have its own Body of Knowledge, Research, Standards, Education System, Application Methodology and Certification / Qualification. Keeping in view the requirement of the PM profession which is heavily dependent on the spread of knowledge with an effective education system in place, www.pmGURUonline.com - CEPM's distance learning system is now available to all those who will like to understand the concepts of project management. From these inputs, one can prepare for certification and apply the knowledge gained in their area of work. Measure your current PM Knowledge using our Project Management Knoqledge Quotient (PMKQTM) test of 10 / 25 / 48 questions. Take the course which is imparted in a interactive, easy to use, fun mode to learn the intricacies of project. Training is available 24x7, at your own convenience, and speed. www.pmguruonline.com is used globallysince 2002 to prepare for the different certifications and to earn PDUs for your PMP® re-certification. In the field of project management, some of the best brains at a global level have been engaged in creating the architecture of the site as well as it's contents. The Subject Matter Experts (SMEs) represent a very wide community covering academics, business leaders and PM Professionals. 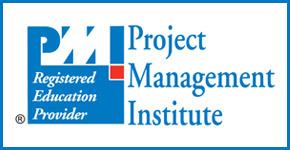 ATO of International Institute of Projects & Program Management (I2P2M) - a not for profit company involved deeply in Executive Diploma in PM in association with the leading George Washington University School of Business, Washington D.C., USA since 2011 and in administering PM certifications.